Nancy McAuliffe (formerly Carey) is a native Rhode Islander who received her early training with Lidia Pettine at the RI Ballet Center in Providence. She went on to study with E.Virginia Williams at the Boston Ballet and Madame Swoboda in New York City at the Ballet Russe School. During her career as a professional dancer, starting at age sixteen, she studied and worked with many of the great dance teachers in America; Arthur Mitchell of the Dance Theater of Harlem, David Howard in New York, Agnes de Mille, Petrus Bosman, Violette Verdi, Renzo Raiss, Alexandra Danilova, Winthrop Corey, Christine Hennessy, and many more. She is a graduate of RI College with a Bachelors degree in Psychology and Physical Education. In New York City she danced in the Corps de Ballet at Radio City Music Hall. In Rhode Island she has performed as a soloist or principal dancer with the Rhode Island Civic Ballet, the State Ballet of Rhode Island, Rhode Island Ballet Theater, Artists Internationale Opera Company, and was a founding member and dancer of Festival Ballet of Rhode Island. She has worked as a choreographer with the Island Moving Company of Newport, the Children's Dance Theater of Newport, the Mount Desert Island Ballet in Maine, and Spindle City Ballet in Fall River, Massachusetts. 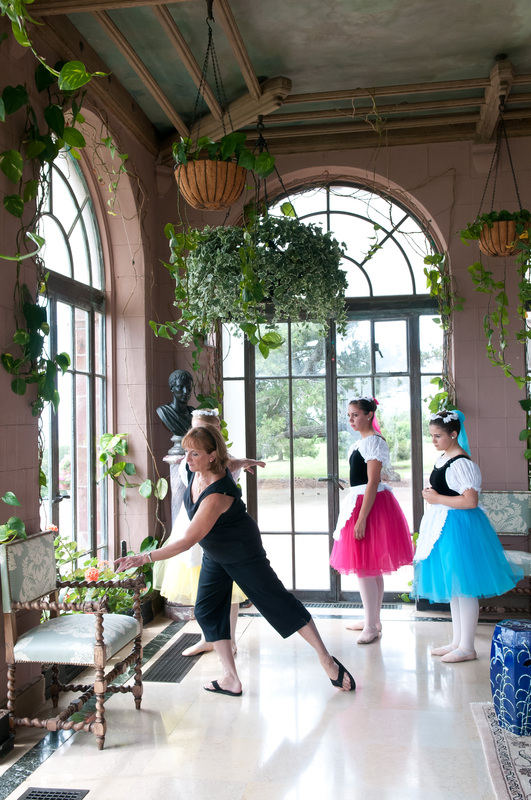 Her teaching career has included several years at St. Patrick's High School in North Providence, as a part-time faculty member at RI College, The Dance Center (school of Festival Ballet of Rhode Island), and her own ballet school-Rhode Island Ballet Arts Academy since 1969. Nancy has been a part of the dance community in Rhode Island since the early 60's and continues to foster and promote dance in our state. Many of her students have gone on to the professional stage or have become teachers themselves. She has also been involved with the "business" of ballet by serving as an Assistant Administrator for the Festival Ballet of Rhode Island. She has served several terms on the Board of Directors for Festival Ballet of Rhode Island and the Island Moving Company of Newport. Presently, Nancy is the Artistic Director for Rhode Island's ballet theatre . RIbt is a company seeking to expand the performance opportunities for the gifted dancers of Rhode Island. She is also on the Board of Directors for the Miss RI Scholarship Program in the Miss America Organization, a guest artist instructor for the Walsh School for the Visual and Performing Arts in Pawtucket, and on the Board of Directors for the Arts and Cultural Alliance of Newport County. Nancy is married to Warren McAuliffe, has two sons and two grandsons. She resides in Middletown, Rhode Island.